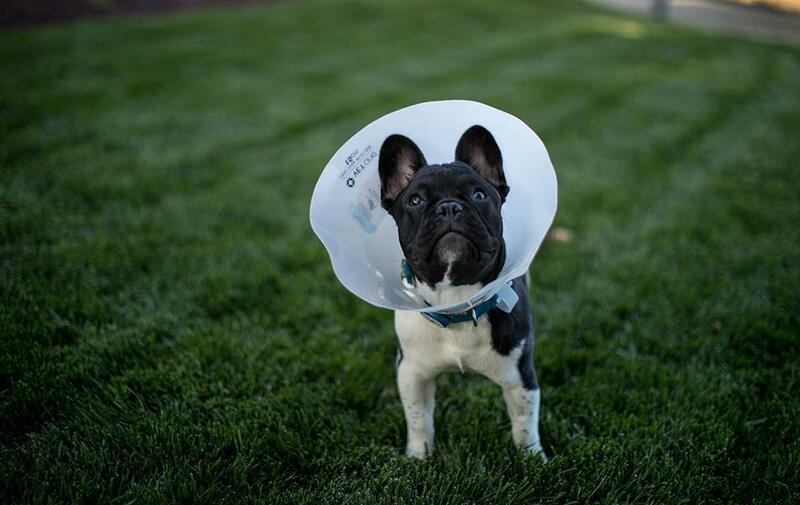 Benefits of Neutering Gaston, my French Bulldog puppy. Welcome to my first in a series of blogs dedicated to my Gaston, my French Bulldog puppy who inspires me everyday. We just celebrated his seven month birthday. No longer a puppy, we had noticed some changes in his sweet personality. He had grown into a full-fledged dog with a budding Napoleon syndrome! His was claiming his territory by peeing everywhere and had even gotten more competitive with his older sister and playmate, Heidi. We had always known that we wanted to neuter Gaston, but never thought the decision would be so difficult. The decision to spay or neuter one’s pet is incredibly important, logically, but the process can be emotional when we get so attached to our innocent puppies. This research made me sigh in relief! As much as I didn’t want to hear harsh clinical words like castration used in relation to my puppy, I wanted to prevent him from cancer and other related ailments more. I knew that in order to protect Gaston it was necessary to get him fixed. Although Gaston and I went through a emotional journey to get there, he was neutered last week and is now terrorizing the house and my shins in his shiny plastic cone. I have peace of mind knowing that we will have many years of enjoying Gaston, without the mess and health risks that come with an intact male dog. I realized that the safe, responsible, and correct answer was to sterilize my precious puppy. I hope that you all will join me in sterilizing your pets and reducing the number of puppies that end up in shelters today.